The term "Graded Coins" is a reference to a coin's physical condition and appearance, that has been certified by a grading service. The scale by which all coins are graded by is called the Sheldon Scale, named after William Sheldon who standardized grading coins in 1948. As the industry standard, the Sheldon Scale helps dealers, collectors and investors determine the coins' condition for proper coin appraisal. The bullion investor looking for graded coins with the best investment value would need to concern themselves with the higher grades of the Sheldon Scale, those of "BU" = Brilliant Uncirculated, MS-69 and MS-70 (MS = Mint State). Perfect Uncirculated (MS-70) Perfect condition, showing no marks, blemishes or wear. The finest quality coin. 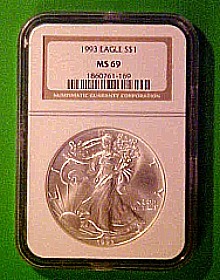 Choice Uncirculated (MS-69) An above average Uncirculated coin which may have a few light marks. Brilliant Uncirculated (BU) Original state from a Mint, although the coin may have some slight imperfections or blemishes. 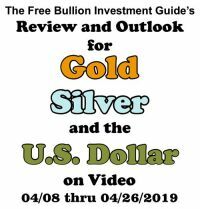 Technically speaking, bullion investors looking for a graded "Silver" bullion coins, that he or she wants to hold its value, may not wish to concern themselves with graded bullion coins produced by the United States, Canada or Austria. Because the silver American Eagle, Maple Leaf and Philharmonic bullion coins are all mass produced with mintage figures over 1 million. 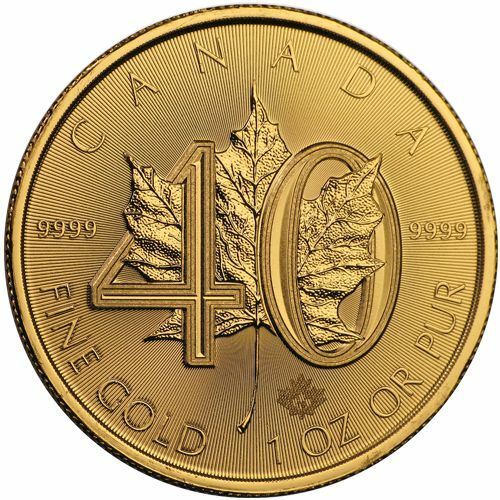 <--- To find more information on the mintage figures of these and other bullion coins, look to the "Navigation Bar" to your left <--- (ie: US Coins, Canadian Coins, Austrian Coins, etc., etc.). This is also becoming relevant for recently minted (2010 - 2014) Chinese silver panda bullion coins. 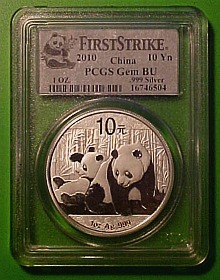 In 2010, there were 1.5 million of the silver panda bullion coins produced. Furthermore, in 2011, there were 6 million coins minted and the Chinese Government has minted at least 8 million silver panda bullion coins since 2012. 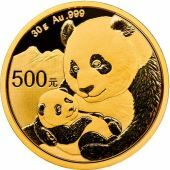 The recently minted Chinese Silver Panda bullion coins may get a slightly higher premium than the other three silver bullion coins mentioned, but look for their premiums to come down as more are produced. Note: The above statement does not refer to Commemorative Silver Pandas, American Eagle Silver Proof graded coins or Uncirculated Graded coins. There is one caveat to the argument above, third party grading services will often issue limited editions of graded bullion coins. In these cases, only a selected amount of the bullion coins will be graded. Also in many of these cases, it doesn't matter how many of the bullion coins were minted because of the limited amount bullion coins graded. 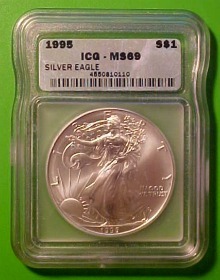 This is most often seen concerning MS-70 bullion coins or error bullion coins. 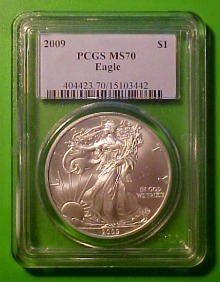 For example; the 2009 American Eagle Silver Bullion Coin PCGS MS-70 (displayed below). PCGS graded less than 1,000 of these coins, however, the US Mint produced more than 28,000,000 of the bullion coins that year. Even though so many of the coins were produced and a raw 2009 American Eagle Silver Bullion Coin may only go for a few dollars over the spot price of silver, the graded version of these coins from PCGS are garnering more than $100.00 each. Silver bullion coins that are not massed produced hold a higher premium whether they're graded or not. 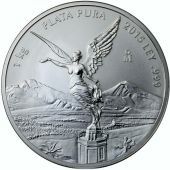 These silver bullion coins include; Chinese Silver Pandas produced before 2010, Australian Silver Lunar bullion coins, Silver Kookaburras and Koalas, Mexican Libertad, Silver Britannia, and other silver bullion coins with mintage figures under 1,000,000. 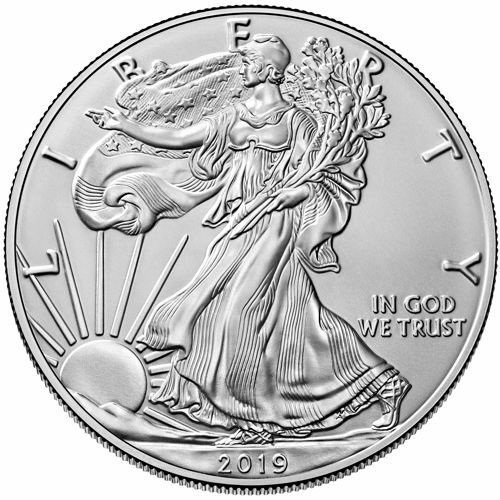 Note: Below you will see representations of graded American Silver Eagles, most of these will not garner very high premiums above the silver spot price; twenty to fifty percent at most. The photos were placed on this page to show you representations of each of the grading services different plastic slabbed cases. 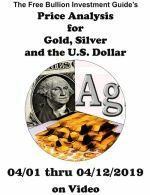 Looking for bullion dealers who specialize in selling graded coins? 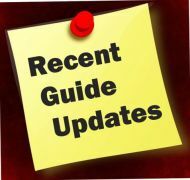 Check out the Graded Bullion Dealers page to find those dealers. The two most prevalent coin grading services are PCGS (Professional Coin Grading Service) and NGC (Numismatic Guaranty Corporation). 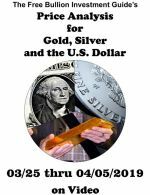 ANACS (American Numismatic Association Certification Service) is considered the third leading service, and is credible, but does not carry the market acceptance or liquidity of the other two. IGC (Independent Coin Graders) is considered the fourth largest coin grading service. Due to PCGS's and NGC's recognition among the coin grading community, any coin graded by these two companies garner the highest premiums. In 2007, the Professional Numismatists Guild (PNG) published a report about grading services and standards. The survey indicated the professional opinions of numismatists that buy and sell coins. No grading service was listed as "outstanding". 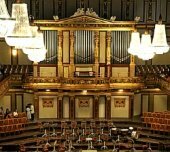 PCGS and NGC were ranked as "superior". ANACS and ICG were ranked as "good." PCGS - Professional Coin Grading Service is the most respected name in third party grading companies. PCGS guarantees grading accuracy and authenticity for each coin they encapsulate. PCGS graders are a selected group of numismatic experts. PCGS experts work independently in a controlled environment that provides optimum conditions for studying the characteristics and physical condition of each coin. A series of graders enter independent determinations into a computer database until a consensus is reached and the final grade is assigned. Graded coins, especially those in PCGS holders, earn more trust and the highest premiums. PCGS standardized grading system has forever changed the process of buying and selling coins, increasing confidence in buyers and sellers around the world. 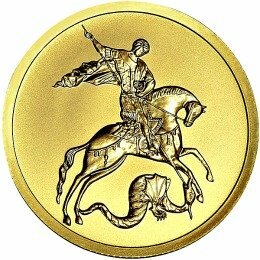 NGC - Numismatic Guaranty Corporation was founded in 1987 NGC and has grown to become a leader in third party grading services. To ensure impartiality and accuracy, three numismatic experts, evaluate each coin submitted for grading. A grading finalizer assigns a final grade and the coin is then sonically sealed in a protective, inert plastic holder. NGC's full-time grading experts are impartial and are not associated with any commercial coin marketplace. Furthermore, NGC's grading experts are prohibited from buying or selling coins the companies graded coins. NGC was the first independent third-party certification and grading service to certify a broad range of world coins. NGC grades most US coins, tokens and medals, in addition to coins from around the world. ANACS - American Numismatic Association Certification Service is America’s Oldest Grading Service, ANACS was founded in 1972. The company was created by the American Numismatic Association (ANA). The ANA is a century old, non-profit educational association for collectors of coins, tokens, medals and paper money. In the early 1970s, the ANA board of governors recognized that something significant needed to be done about the counterfeit and altered coins that were plaguing the coin community. Their solution was ANACS, the American Numismatic Association Certification Service. 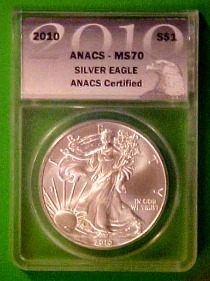 ANACS certified its first coin as genuine, on June 15, 1972. Starting out as the first third party grading service, ANACS graded coins with a given grade for each side of the coin, obverse and reverse. ANACS also issued a photo certificate showing both sides of the coin with its grade. They would then leave specific comments about the graded coin for the customer. 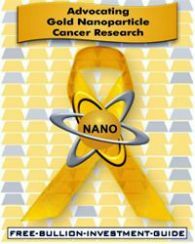 In 1989 ANACS discontinued photo certificates and began encapsulating coins in tamper resistant plastic holders, realizing this brought the greatest investment value to their customers. ICG - Independent Coin Graders is a third party grading company. It guarantees that all coins submitted to its grading service will be handled and graded with the highest standards of professionalism for proper coin appraisal. ICG provides an unbiased coin grading service. Coins are anonymously submitted to ICG through a third party receiving company. To ensure impartiality ICG owners, graders and employees are prohibited from buying or selling coins themselves. If you are Looking for bullion dealers who offer graded coins, go to the Graded Bullion Dealers page.